Named after the famous Codex Bologna Q16, which holds untexted music from the early 15th century, the ensemble is an Alta Capella in it's early form: two shawms and a sackbut. This matches the music from the manuscript perfectly: a high voice for an Alto Shawm in G, a tenor voice for a shawm in C and a contra tenor that fits best on a renaissance sackbut. 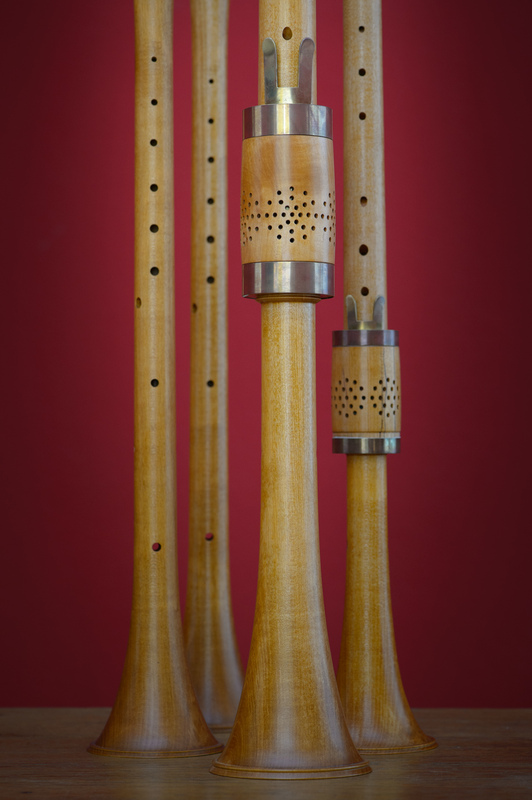 All three players are also accomplished on the recorder. This makes it possible to switch to soft instruments and not play loud (alta) all the time. The repertoire ranges from Medieval Dance Music to the Tudor Court and to the big collections of functional and ceremonial music by Holborne and Brade. For bigger pieces and the German Stadtpfeifer repertoire we add 1 or 2 cornetts and another sackbut or bass curtal.